This course may be of particular interest to health care professionals, counselors, psychotherapists, teachers, artists, and, more generally, people working within the caring professions and/or those who have a personal or professional interest in the therapeutic value of dance and movement. This professional certificate reflects a multidisciplinary approach to healthcare and is designed to meet a Tango Therapy Practitioners needs and continuing professional development. The quality of life for people with Parkinson’s disease, as the same for the Elderly, can be greatly influenced by the effectiveness of this course. The course is validated by Tango Therapy UK and accredited by the International Association of Tango Therapy (IATT). It enables you to practice in the fields of palliative health and private practice. You will also be able to work for the Tango Therapy UK.  Be prepared to be responsive to the emotional, social, cognitive and physical needs of vulnerable people.  Graduates will be eligible for professional registration with IATT. 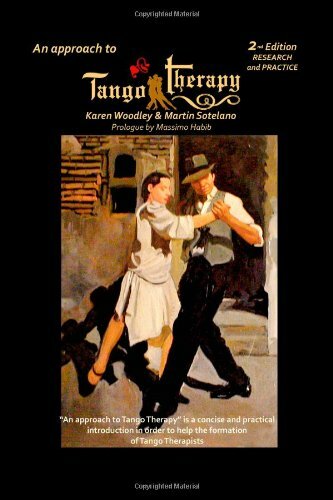  This course allows Tango Therapy Practitioners to become a Full Members of the IATT.  Tango Therapy is growing locally and throughout the world and the programme has further stimulated this.  Often create their own positions running Tango Therapy sessions. The International Association of Tango Therapy and/or their local branches will help you and support to develop your own career in organizations like Parkinson’s Disease Society, Mind, Age Concern, among others or private practice. It is delivery through a variety of workshops, seminars and lectures. There will be both summaries and formative assessments that include written and practical assignments. Practice and supervision are integral parts of the assessment. The Tango Therapy Practitioner for Parkinson’s disease patients and the Elderly is offered as a part time course over 8 months. The classes and workshops will be attended over weekends. You will need a relevant undergraduate degree or a substantive portfolio of work at an appropriate level.  Structure of the embrace.  Anatomy and physiology of the body and the use of warm up and cooling down.  To develop the practitioners knowledge of the importance of expressing emotions and advanced skills in encouraging this expression through movement and gestures.  To present the Biodanza exercises and dances and ways of applying them in your sessions. To give a clear knowledge of the genesis of movement and how it can be applied to people with Parkinson’s disease. To give guidance to practitioners as to the best ways of leading sessions of Tango Therapy through the music of Tango, through movement, special exercises and elements of the Tango dance in order to deliver and teach in a healthy, life affirming way to these special people so that they have a chance at rehabilitation and also to understand that Tango Therapy is a palliative than a real cure and a pathway for a happy life.  Dance of Harmonic extension – to re-establish the modular function of the cerebral cortex, generally over stimulated by a style of life decompensate and disharmonized.